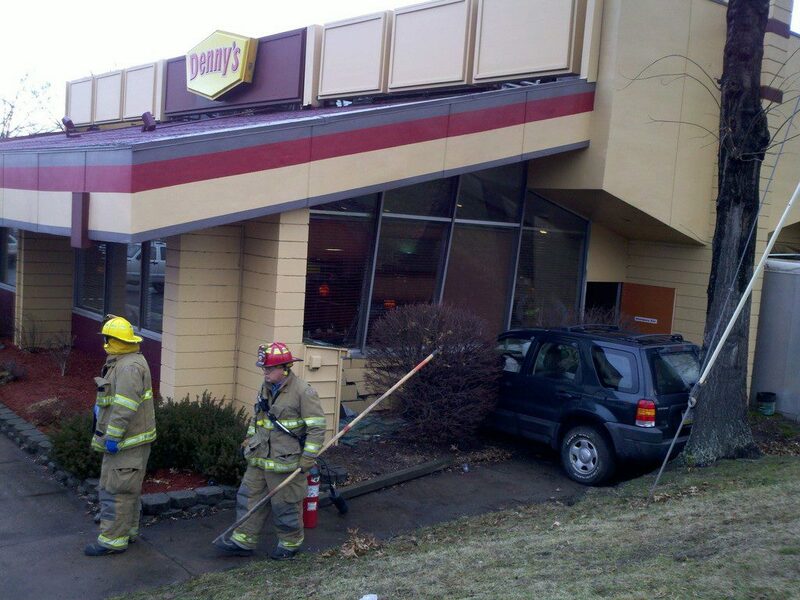 A car smashed into a restaurant in Wilkes-Barre Monday morning.It happened after 9 a.m. at the Denny’s restaurant on Kidder Street.The fire chief said four people sitting inside were injured. He said one was seriously injured and the other three had lesser injuries. Two were taken to Wilkes-Barre General Hospital and the other two at Geisinger Wyoming Valley.The driver was taken into police custody. They said they believe he was under the influence of drugs or alcohol.Officers said they expect to file charges later in the day. One man who was eating breakfast with his wife said the car came barreling over the hill and when it crashed into the building, it sounded like a bomb.“There was one fellow inside. He was sitting right at impact area. He got his leg pinned by the brace underneath the table, and at the time, I ran up because I didn’t know how bad he was injured,” said Joe Stahovic of Bear Creek. The manager of the restaurant said there was no major structural damage to the building, but the place will be closed for a few days while repairs are made.